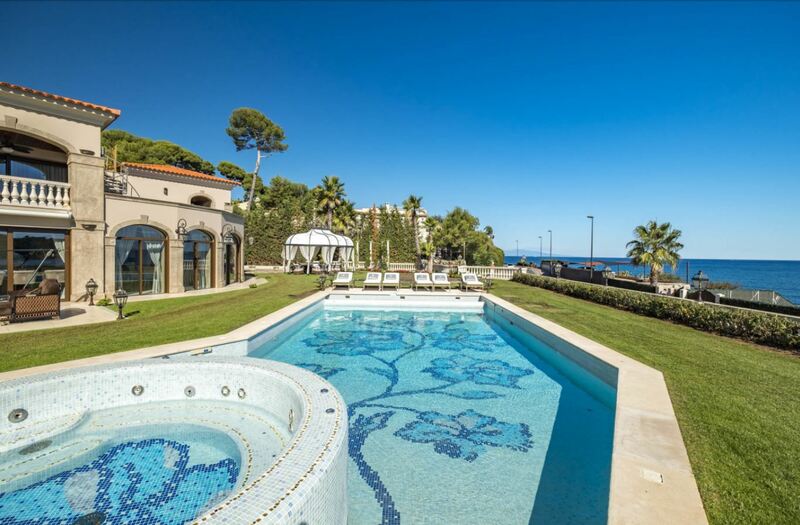 This truly stunning villa is situated in the highly sought-after region of Cap d’Antibes. 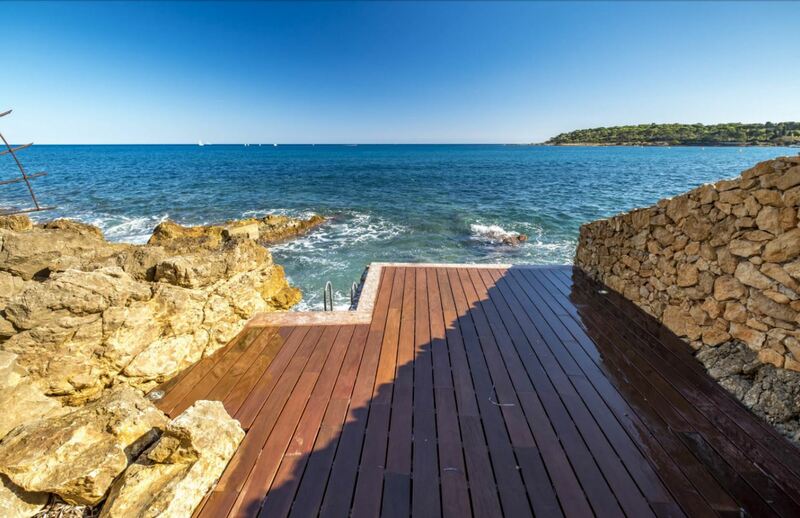 The property benefits from private access to the sea, a luxurious swimming pool and spectacular panoramic views of the Mediterranean Sea. The spacious and open plan living and dining areas are stylish and sophisticated throughout with high-end furnishings and decor. A sumptuous semi-circular shaped sofa is accompanied by equally plush armchairs, facing towards the plasma television screen with a delectable circular coffee table in between. Shiny ceramic floors and columns are beautifully combined with the elegantly designed dining table, situated in front of the floor to ceiling windows. A wonderfully lavish lighting fixture hangs above the table and adds an extra slice of glamour to dining occasions. 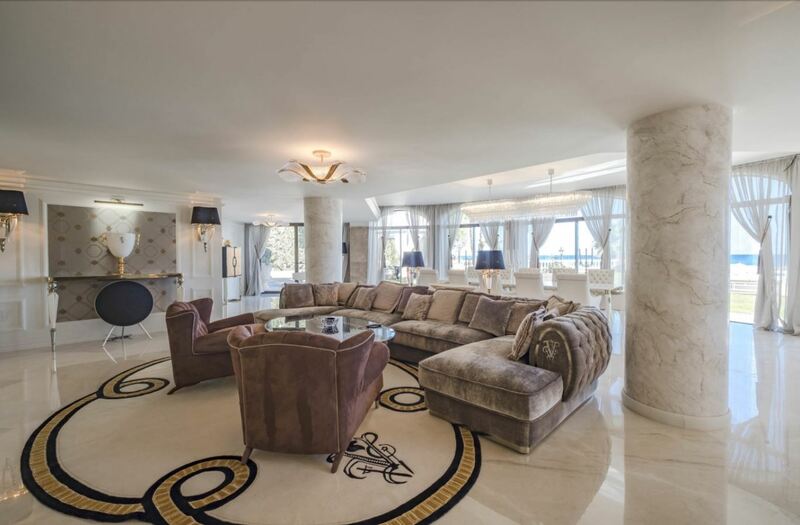 Every piece of furniture has been custom-made for this villa which truly sets it above most other properties found on the French Riviera. An additional dining area is found within the property with yet more glamourous seating and a fully equipped modern kitchen that is open for guests to see meals being prepared. The living areas open out onto extensive terraces, furnished for outdoor seating and dining. Well-maintained lawns surround a breath-taking swimming pool where guests can enjoy cooling off in the sunshine. Sun loungers and comfortable seating are also available to use. 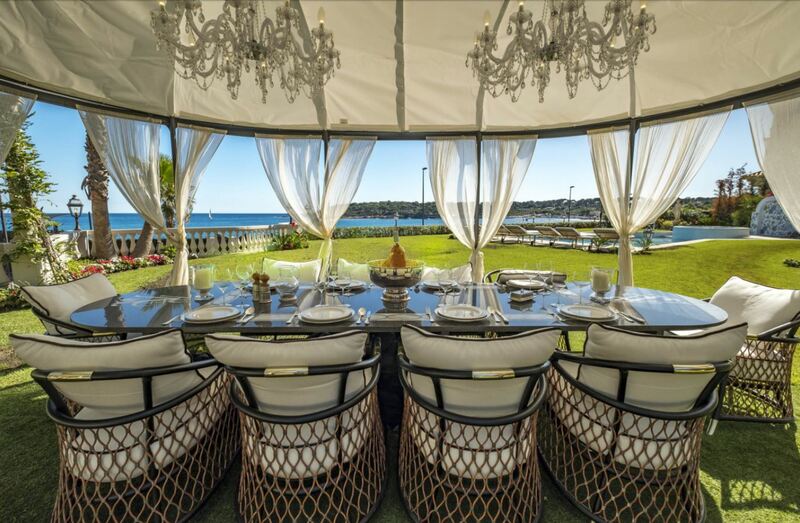 Towards the entrance of the villa is a spectacular covered dining table which makes a truly sensational setting for dining in the sunset. 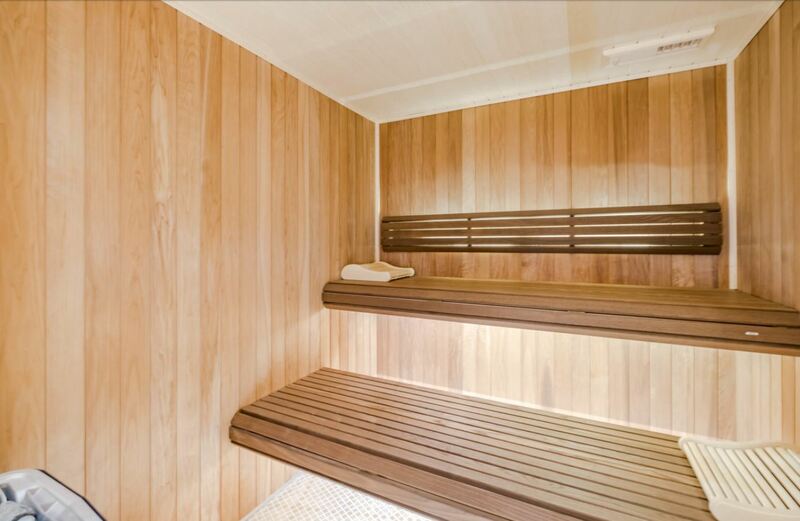 Pampering and relaxing is essential within the villa and can be easily done with the villa’s private sauna and relaxation lounge. The state of the art cinema room is equipped with a full size screen, crisp audio and visuals and plush seating for a true cinematic experience. A large collection of fine wines are kept in the villa’s own wine cellar; ready to tasted and sampled! 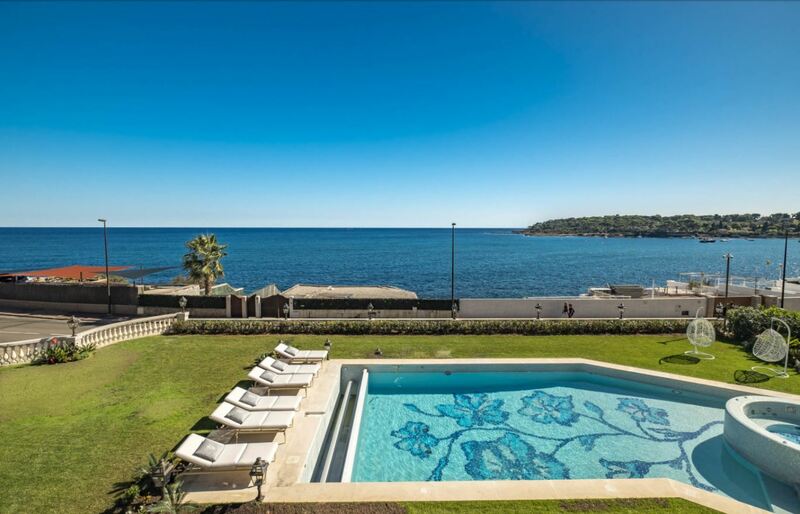 Each of the villa’s 7 bedrooms have been delightfully decorated and furnished. Each bedroom has its own elegantly designed en-suite bathroom for added comfort, luxury and privacy.